With this step-by-step recipe, you can prepare easily a homemade flatbread pizza to enjoy at lunch or dinner or to serve as an appetizer. 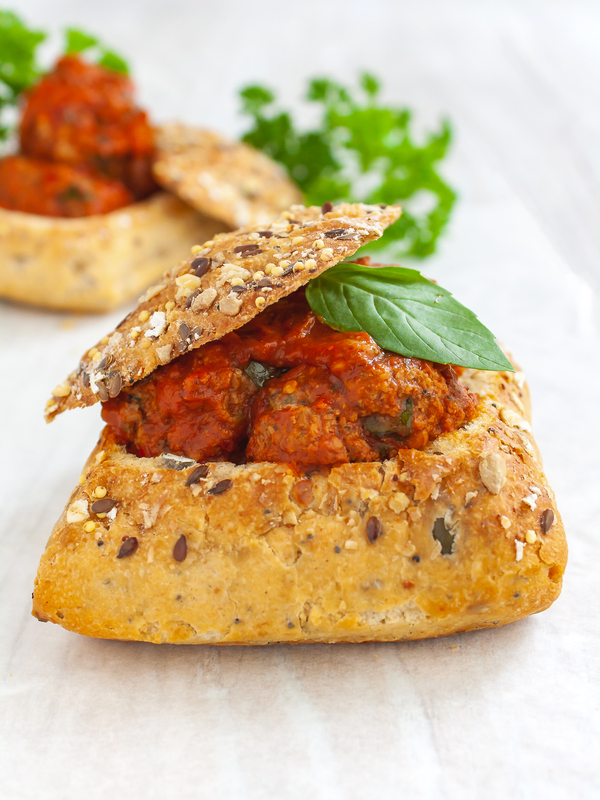 This simple flatbread pizza crust is prepared with wholemeal flour, extra virgin olive oil, and unrefined brown sugar. To make the flatbread pizza crispy you just need to heat a drizzle of oil in a skillet and cook the flatbread for at least three minutes until golden on both sides. This flatbread dough recipe is very simple, and it requires just one hour to rest under a cloth to rise into a soft dough. 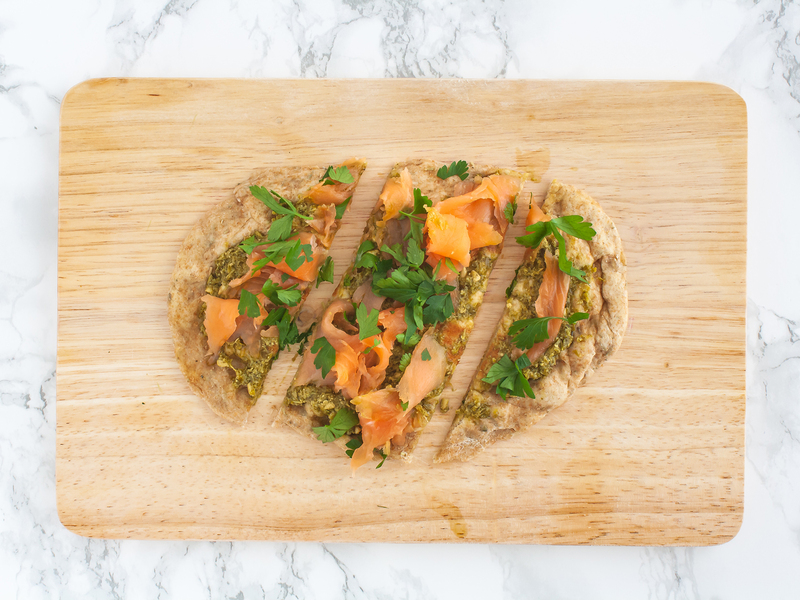 Once you have prepared this wholemeal flatbread, you can use different ingredients as toppings and here we suggest using smoked salmon strips and basil pesto. You can get ready-made pesto, but we recommend you make your own pesto as it’s super simple and it will taste so much better. 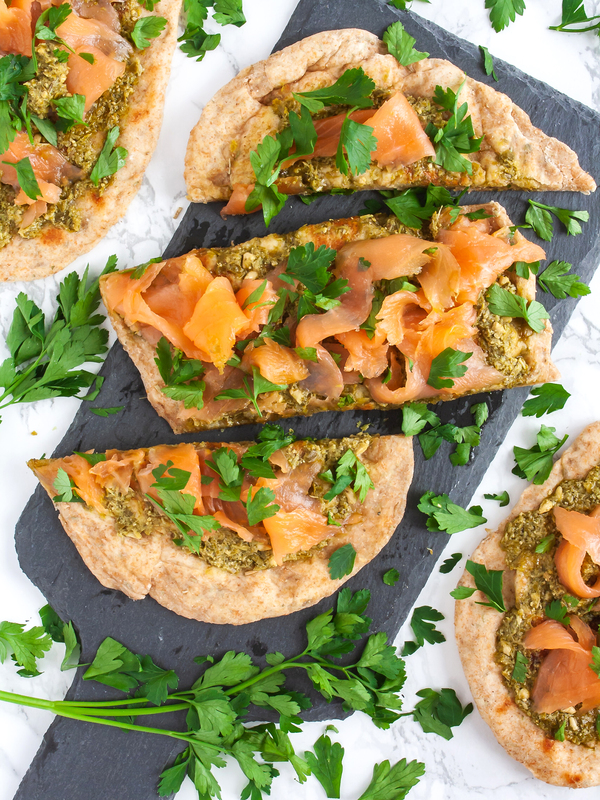 This smoked salmon and pesto flatbread pizza is a healthy and balanced meal with 300kcal, fibres and good fats like omega-3 from salmon and monounsaturated fats from olive oil. 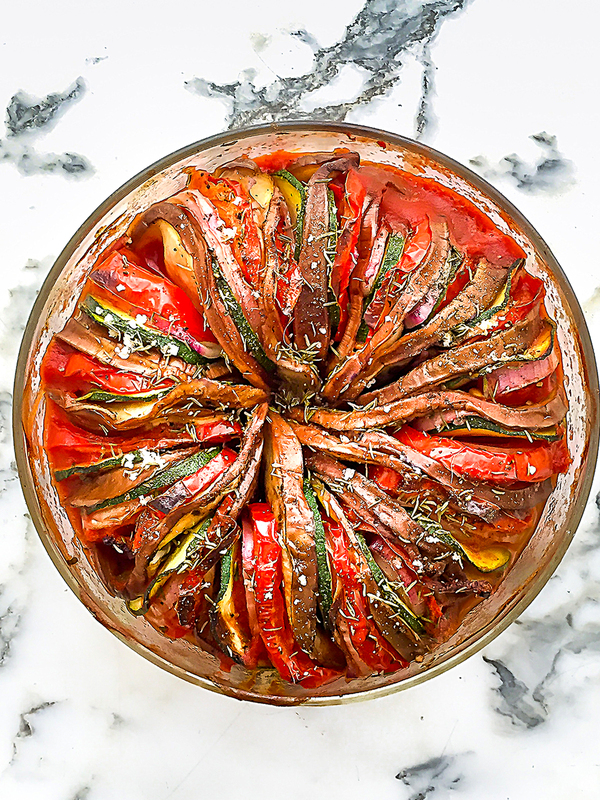 You can store the wholemeal pizza crusts in an airtight container for 3 days. NOTE: the default ingredients yield 3 flatbreads and one serving consists of one flatbread. 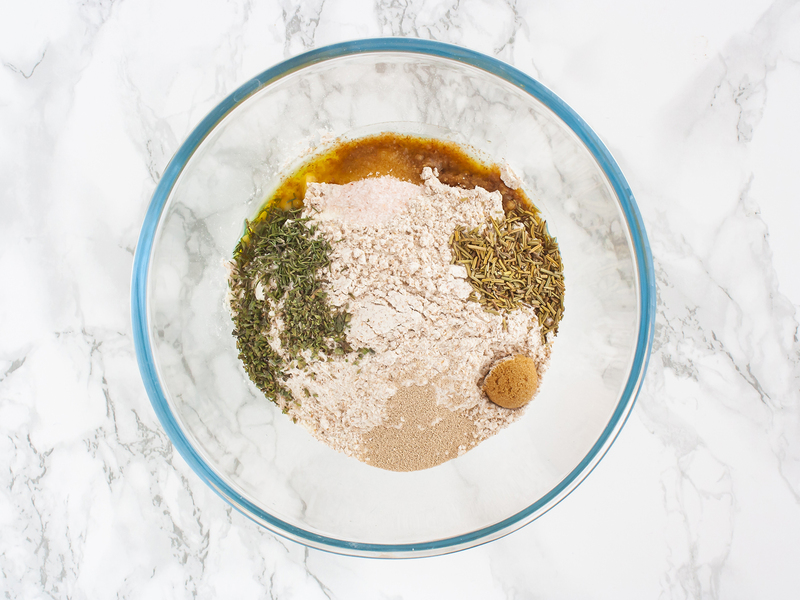 Prepare the homemade wholemeal flatbread by combining white flour, wholemeal flour, dry yeast, salt, oregano, rosemary, thyme and sugar in a mixing bowl (1). Add extra virgin olive oil and stir well. Form a well in the flour mix, add warm water and stir with a spoon to roughly incorporate the ingredients. 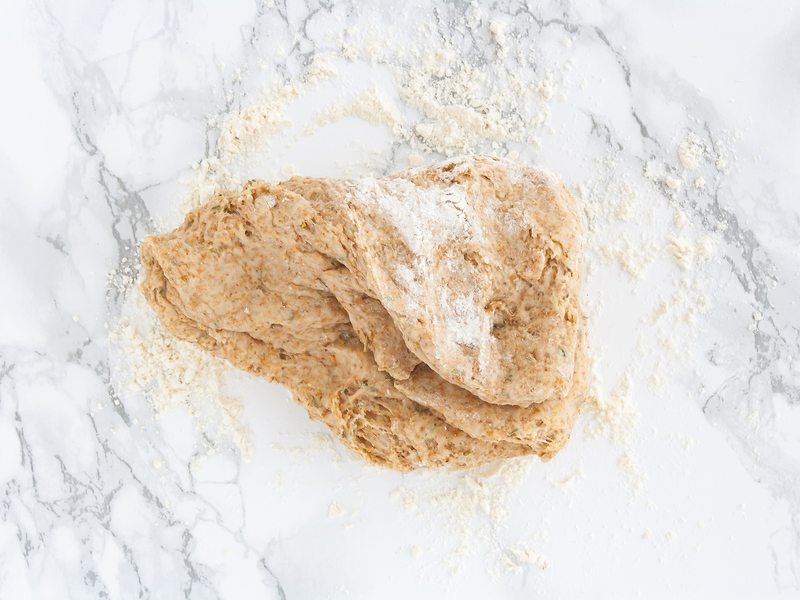 Transfer to a floured worktop and knead the dough pressing it down and forward with the heel of your hand. Then fold back, turn sideways and repeat (2). 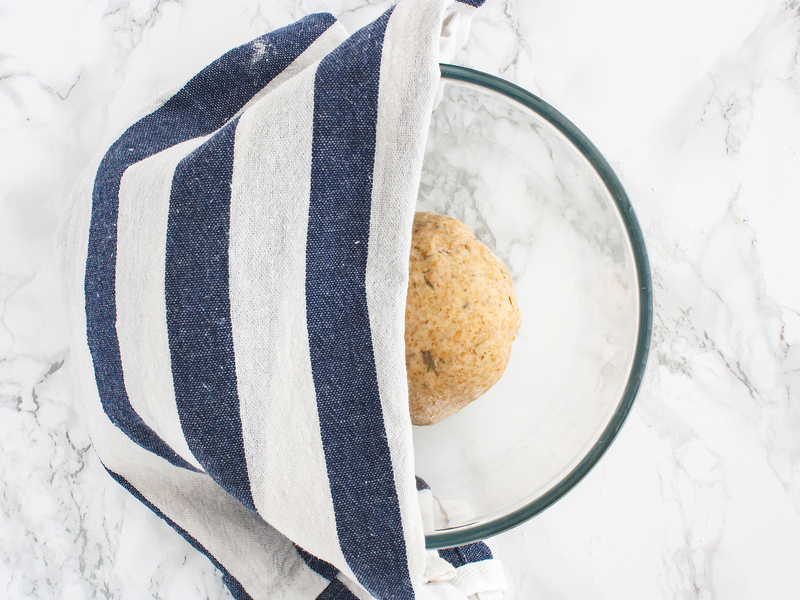 Knead for at least 2 minutes to help develop the gluten. 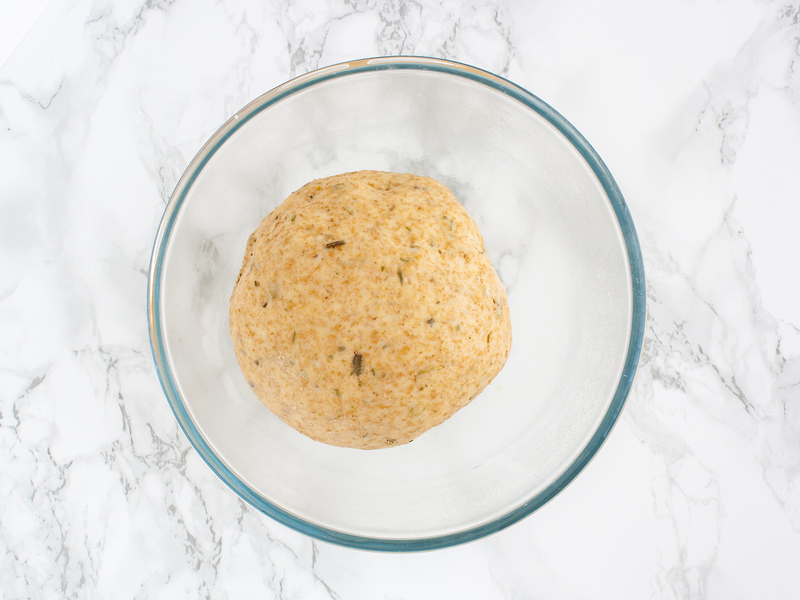 Roll the dough into a ball, transfer to a bowl greased with oil and cover with a damp cloth (1). 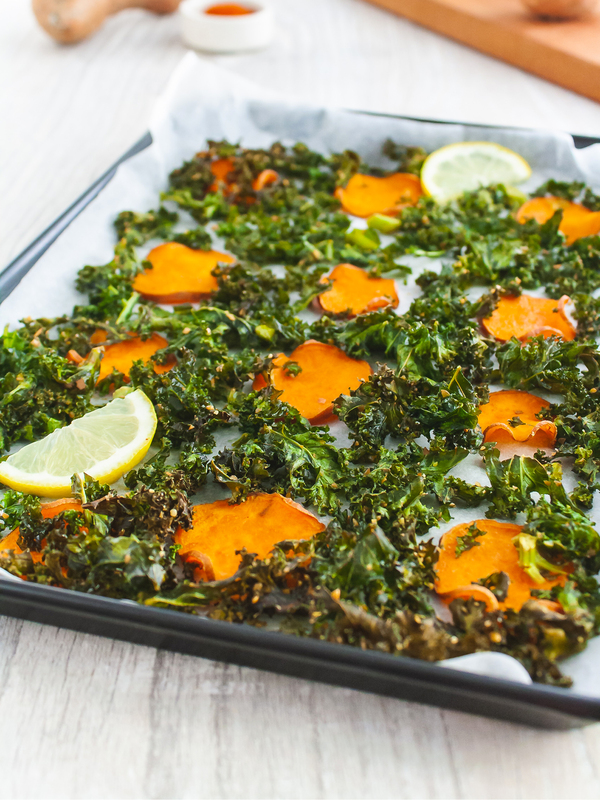 Place in a warm place like in the oven with the light on or under a wool blanket. Let the dough rest and rise for at least 1 hour or until it has doubled its volume (2). Next, quickly work the dough again on the floured worktop to remove excess air and pinch off as many balls of dough as the number of servings. 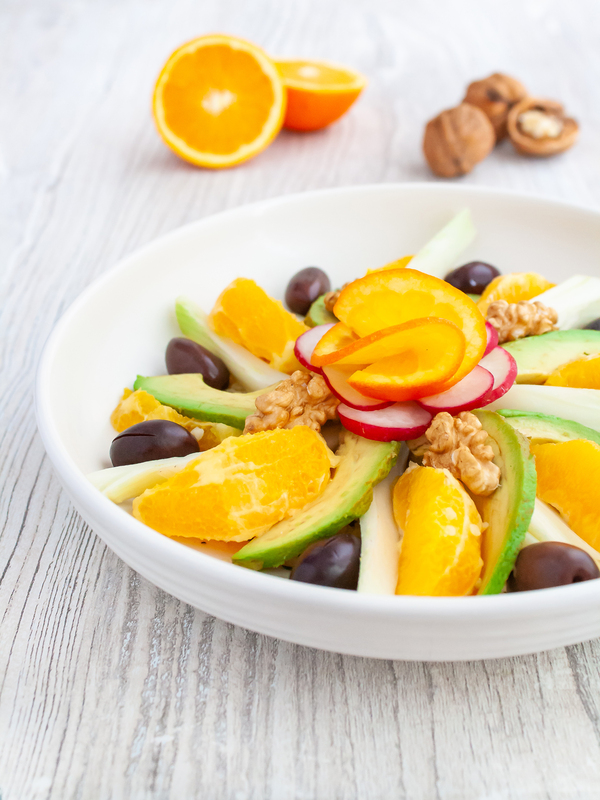 Flatten down each portion with the help of your fingertips into a 5 mm (0,2 inches) thickness. 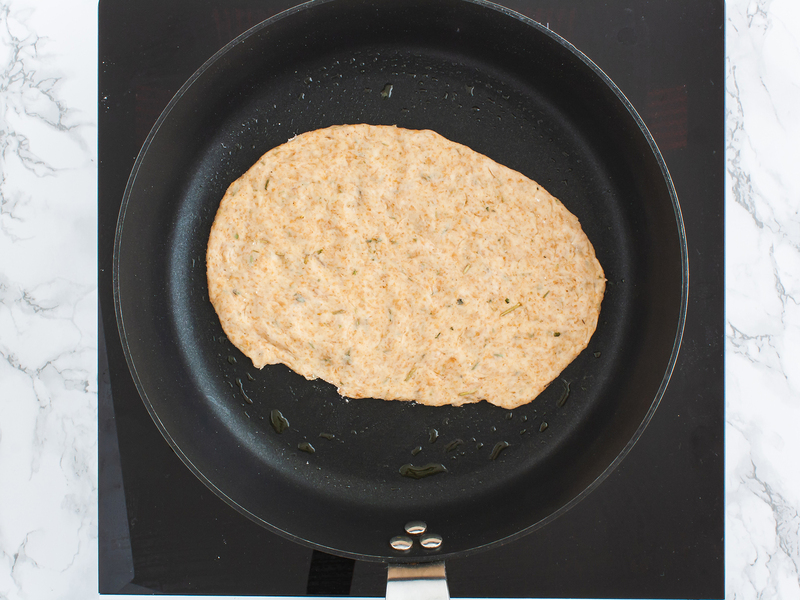 Heat a drizzle of oil in a skillet and cook the flatbread for 3 minutes (1) then flip and cook for 3 minutes on the other side (2). Spread two teaspoons of homemade basil pesto over each flatbread and distribute smoked salmon strips. 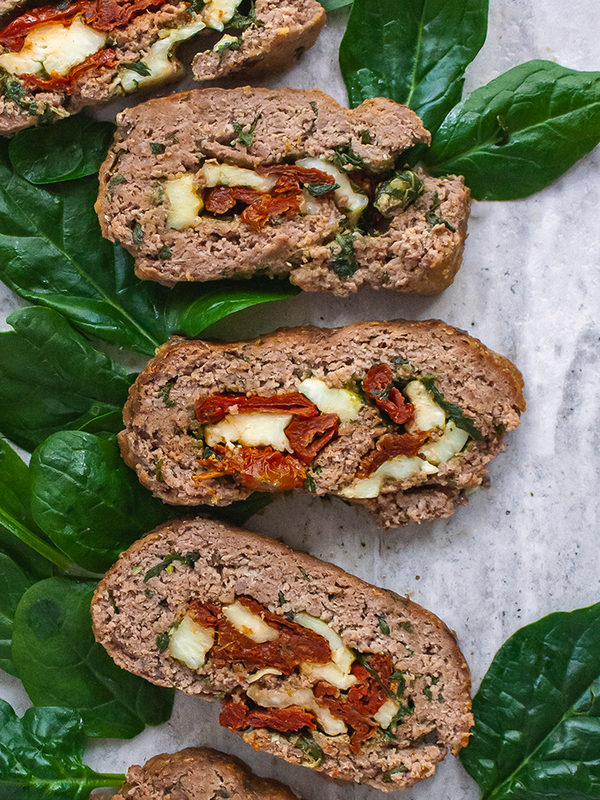 Garnish with fresh chopped parsley and before serving cut into strips with a pizza cutter. Enjoy your delicious salmon and pesto flatbread with a side salad. Make sure the water is not too hot or it will inactivate the yeast; so don&apos;t let it boil but just heat in a pot until you see the steam rising.